(RxWiki News) No matter where you live, you and almost everyone you know have likely experienced allergies at some point. But did you know there are ways to minimize your allergy symptoms? 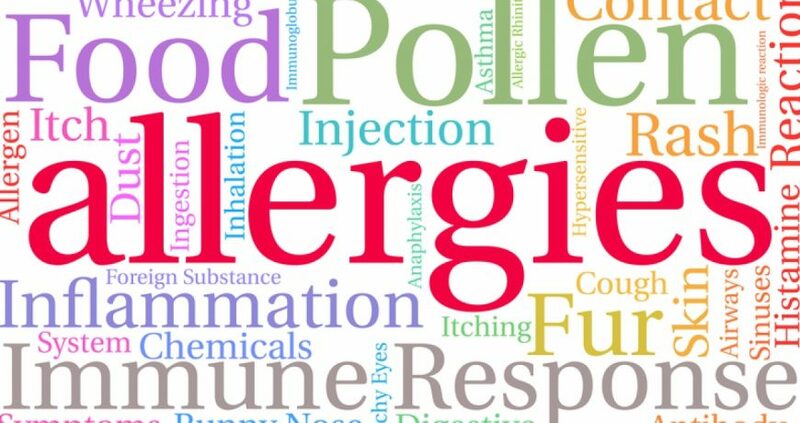 Continue reading for helpful information about seasonal peak allergens and how to minimize and treat allergy symptoms. Spring: During the spring months, pollen from grass, trees and flowers is the most prominent allergen. Summer: Grass pollen often lingers through the early summer months and is then replaced by molds and spores in the later months. Fall: Allergy symptoms usually start to lessen during the fall months, but ragweed remains one of the most common allergens during this time. Winter: In the winter months, indoor allergies to pet dander and molds often peak. Allergy tracking tools from The Weather Channel, the National Allergy Bureau, and Pollen.com can help you monitor levels of various allergens at any time and in any region. That way, you can better prepare for the symptoms you may experience. Spring: To minimize allergy symptoms in the spring, keep your home and car windows closed to keep pollen out. Additionally, if you have been outdoors during the day, take a shower before going to bed to avoid staying coated in allergens overnight. Summer: To decrease allergy symptoms in the summer, run your air conditioning with a high-efficiency particulate air (HEPA) filter. This will help trap allergens, decreasing the number of allergens you are exposed to. Fall: To fight back against fall allergy symptoms, clean your gutters, sinks, and showers with detergent and water. Let them completely dry. Additionally, you may consider wearing gloves and a mask when mowing the lawn or doing other outdoor chores. Doing so can help you avoid breathing in allergens or transferring them to your eyes or mouth. Winter: To reduce your exposure to winter allergens, encase mattresses and pillows with dust-mite-proof covers, keep your home’s humidity below 55 percent and regularly use a vacuum with a HEPA filter. If you are able to determine which allergens affect you most and in which season they are prominent, you can start your allergy medications one to two weeks before the allergy season begins. And be sure to use your medications consistently. This can help decrease the severity of allergy symptoms later on. Common allergy medications include antihistamines, decongestants, combination products and corticosteroids. Not all medications are safe for everyone. Speak with your local pharmacist to see which of these medications are right for you.